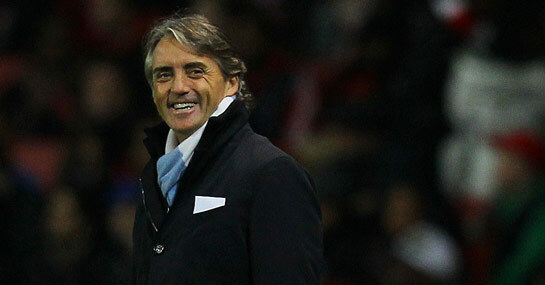 Roberto Mancini believes that Manchester City require 90 points to win the Premier League title this season, but based on the start they have made, it may be shrewd to expect them to break the current record held by Chelsea. Chelsea set their record points high in 2005 when ending the campaign with 95 points and Manchester City are well on track to eclipse this figure. After 17 games in that season, Chelsea only had 40 points, with Manchester City currently four ahead of this sum. With many of their expected harder games for the season already done and dusted away against their chief title rivals, there is every reason to believe that Manchester City can match, if not better, their start in the second half of the season. Therefore, 2/1 could represent good value in the Premier League odds that Mancini’s men will total 96 points or more at the end of the campaign. However, with their fixtures in the second half of the season arguably easier than in the first, there is an outside chance they could become the first club to break the magical 100 points barrier. Mancini certainly has the squad depth at his disposal to accomplish this feat, while the fact that they are out of the Champions League could mean they will dedicate a greater focus towards winning a first top-flight title since 1968. It is 5/1 that Manchester City collect 100 points or more from the 38-game season. To date, 86 points is the highest points total ever achieved by a team finishing second in the Premier League over a 38-game season and so meeting Mancini’s target should ensure that Manchester City are crowned champions. Manchester City’s odds are 8/13 to win the title, while they can be backed at 1/1 to finish on at least 90 points. Even if allowing for a small blip in results that most champions usually have, Manchester City should still reach this figure, especially given their impressive home form which has seen them fail to win just one league game at the Etihad Stadium in the whole of 2011. Furthermore, they have a 100 per cent home record from nine games so far in the campaign.